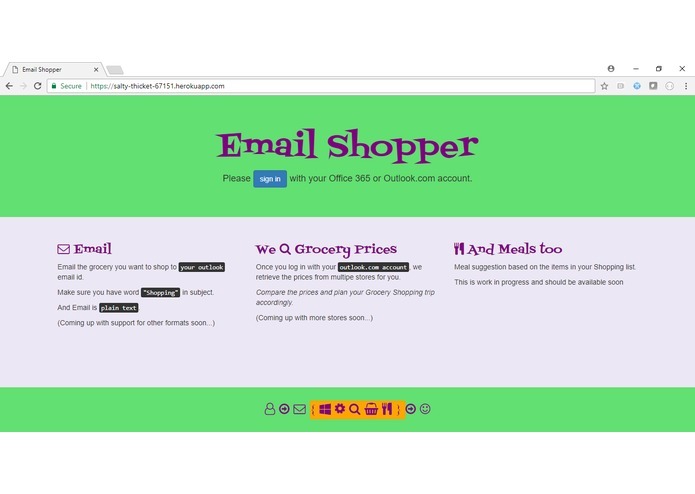 Wouldn't it be nicer if you can generate your grocery shopping list through email. And on top of that howif you get to see the grocery prices at different stores at once. You would not have to go through the flyers or visit stores to check out the pricing. Yeah, you can do this online but you still need to visit store's websites. Moreover I could not locate a Open API that would help me get the grocery prices. This application accumulates your shopping list sent to Your Outlook email address. You do not have to remember what items you added to your list, application will handle that for you. Whenever it's time to go shopping, simply login to the application and application will show your grocery shopping list for that week along with its prices in multiple stores. This will help you plan your grocery shopping trip accordingly. Built it with Node JS primarily as Microsoft Graph Client REST APIs are easily accessible via it. Deployed the app on Heroku. Coming up with a useful use case to use Graph APIs. Making Node application available over the internet. This was a big challenge as I had never done this earlier. Pricing data is stored as JSON file which needs to be maintainable via a Web interface. 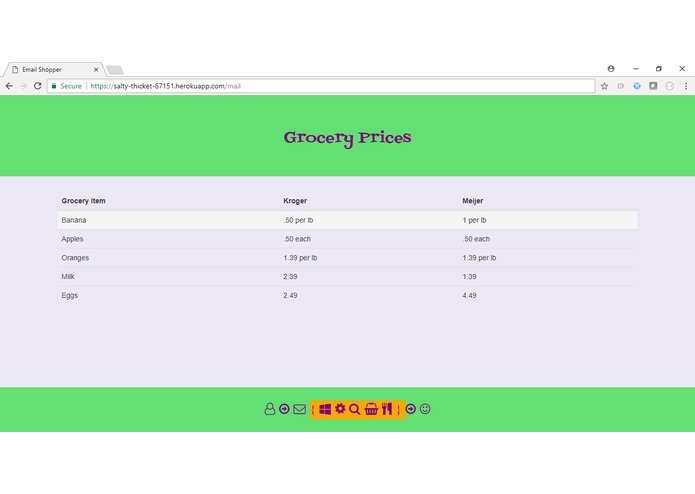 If I want to keep up with the prices, I will have to manually update the grocery prices every week. This needs to be automated. Support synonyms,plurals etc for the grocery item. At the moment it is exact match.